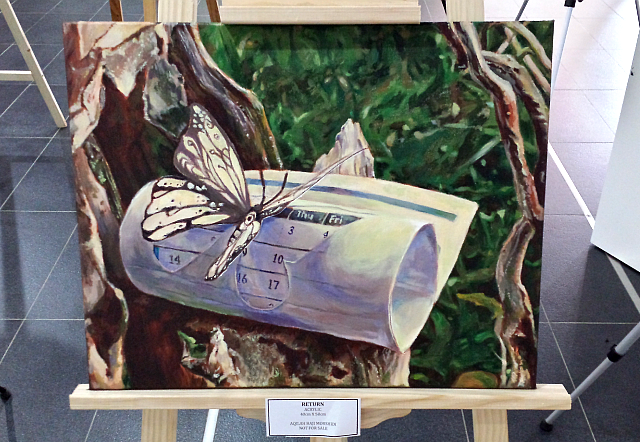 The ‘Emergination’ Art exhibition is now happening at the Mabohai Shopping Complex. 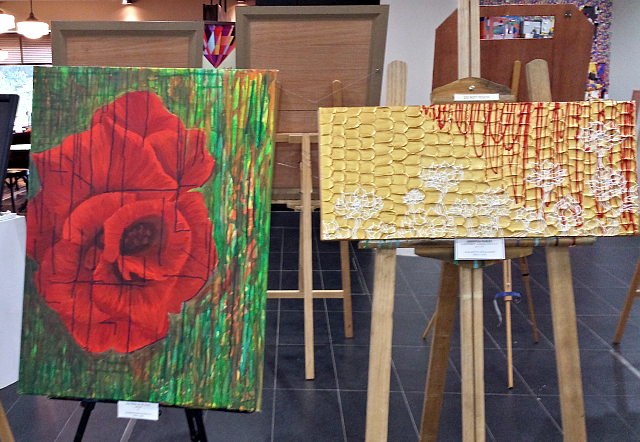 The art pieces are works from graduates of the Art and Creative Technology and Universiti Brunei Darussalam Art Club. 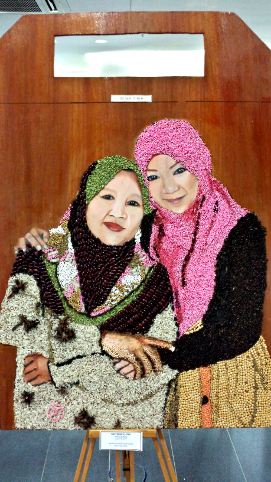 The exhibition officially opened on 27 May 2014. School visits are welcome with a maximum of 30 students per slot excluding parents/guardians and teachers. Apart from the display of artwork, the exhibition also features other workshops such as face painting, ceramic and Islamic Geometric patterns. On Fridays, opening hours are - 8:00 - 9:30 am, 10:00 - 11:30 am, 3:30 - 5:00 pm. School tours will also include a visit to other shops at Mabohai Shopping Complex. More information or booking for school tours can be done by contacting Mabohai Shopping Complex at 2240508 or 8653762. 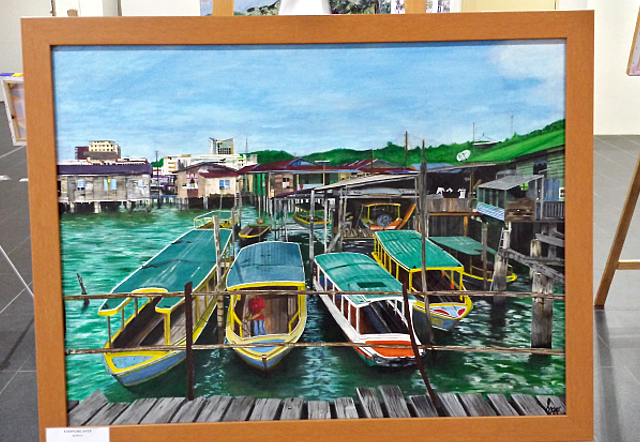 Support the local art community and come and visit the exhibition.